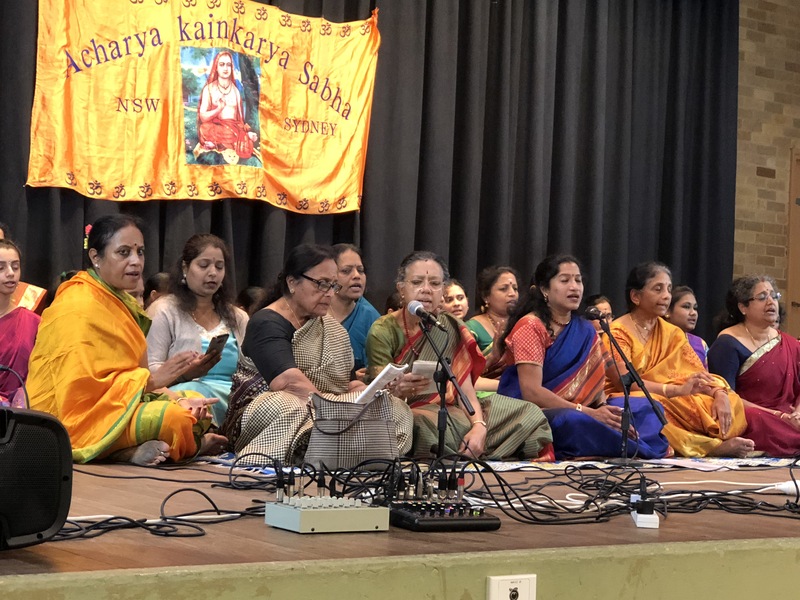 More than 300 community members gathered at Ermington Hall, Sydney to celebrate the Jayanthi of Adi Sankara Bagavatpada, orgnaised by Acharya Kaingarya Sabha on Sunday 22 April 2018. 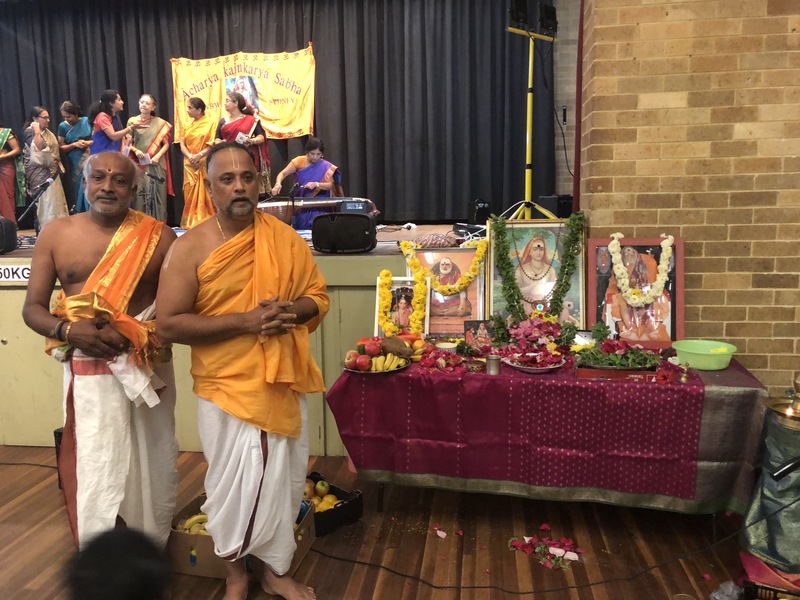 The Adi Sankara Jayanthi celebrations commenced with a puja to Bagavatpada conducted by Sri Ramachandra Athreya , Sri Venkatrama Sastrigal, Dev Babu and Jayashankar. This was followed by group singing of Ganesha Pancharatnam and Bhaja Govindam. 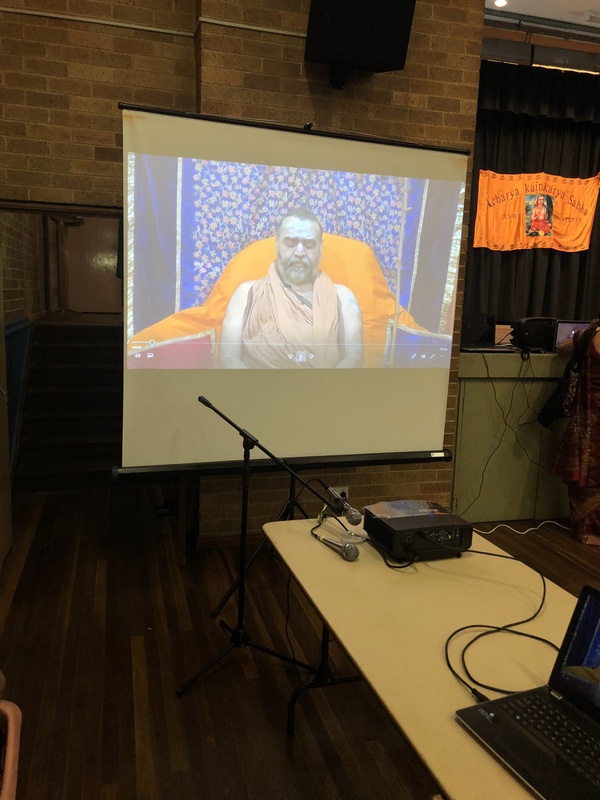 A special message of Anugraha Bashanam by H. H. Sri Sankara Vijayendra Saraswati Shankaracharya Swamigal of Sri Kanchi Kamakoti Peetam received through video link was presented to devotees. Following cultural items were presented by 80 community members including many children. A young student Sagarika Venkat performed Bharatanatyam item with a delightful Padam item. Students of Gayathri Krishnamurthy (Thrayee School of Dance) performed a well presented Jatheswaram dance item. Smt. Lakshmi Narendra and Sri Devaki Venkatesh performed a veena recital of Kanagadara Storam melodiously. This was followed by presentation of Sankata Nnasana Ganesha Ashtakam and Rajeswari Ashtakam by students of Smt. Prema Ananthakrishnan. Students of Smt Sangeetha Mohan Ayyar sang "Shiva Panchaksharam". Smt. Kamala Santhanam and Lakshmi Sekhar recited Subramanya Bhujangam. "Annapurna Ashtakam" was recited by students of Smt Ganga Ranganath. 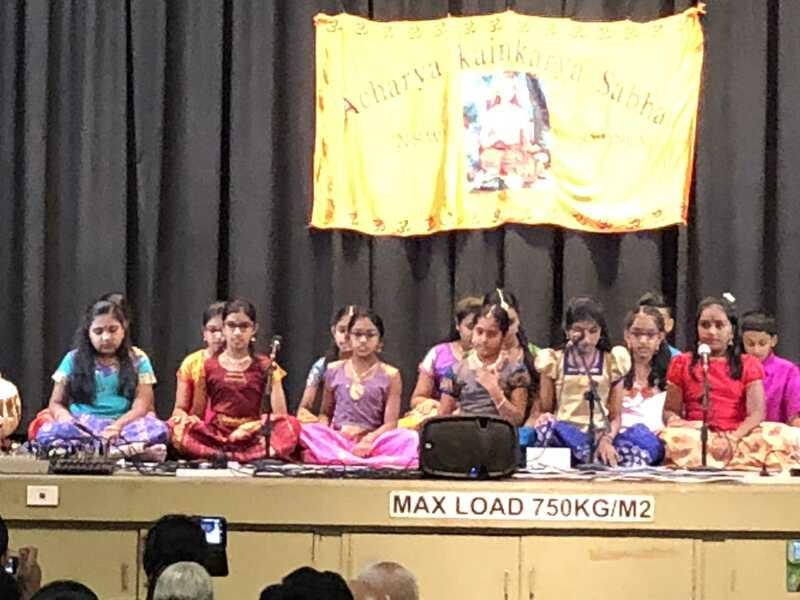 More than 30 students of Sydney Sanskrit School under the guidance of Smt. Meena Karthikeyan presented Sri Sharada Stotram and Dashaloki. "Soundarya Lahari" was recited by students of Smt. Uma Ayyar who also well presented "Meenakshi Pancharatnam". The cultural segment of the event concluded with group singing of Thotakashtakam and Maitreem Bhajatha and Mangala arathi.